Recently passed law in Israel renews a decades-old debate on whether ultra-Orthodox young men should perform mandatory military service. An Israeli soldier of the Shachar Kachol ultra-Orthodox Jewish unit pray at a synagogue on Dec. 21, 2015 at the Nevatim Air force base in the Negev desert, near Beersheva. 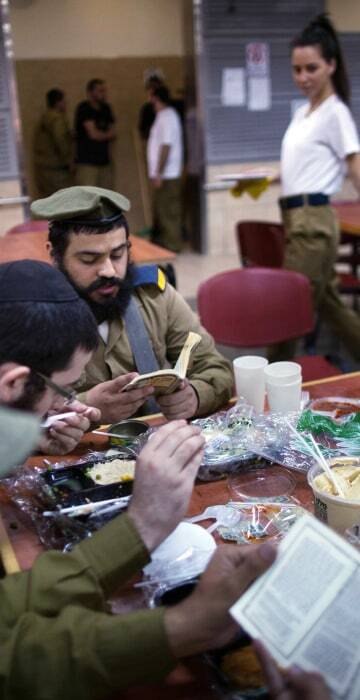 The Shachar Kachol unit is an army program designed to integrate young ultra-Orthodox men into the Israeli Army. 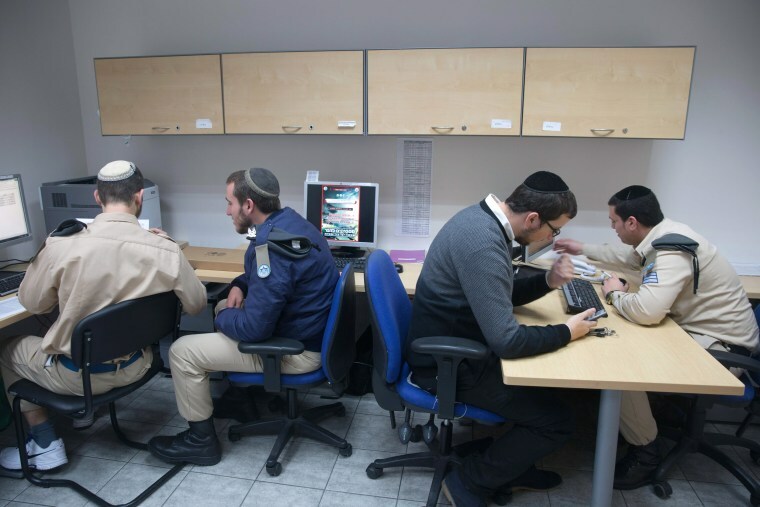 Israeli soldiers of the Shachar Kachol ultra-Orthodox Jewish unit work in front of computers at their army base in Tel Aviv on Dec. 17, 2015. 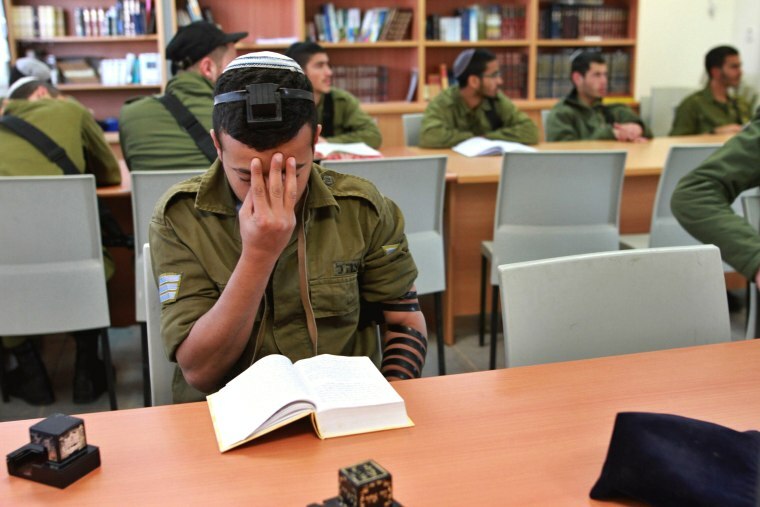 Ultra-Orthodox men studying in seminaries, or yeshivas, are exempt from military service. However, some hareidi-religious students do enter the military for training. 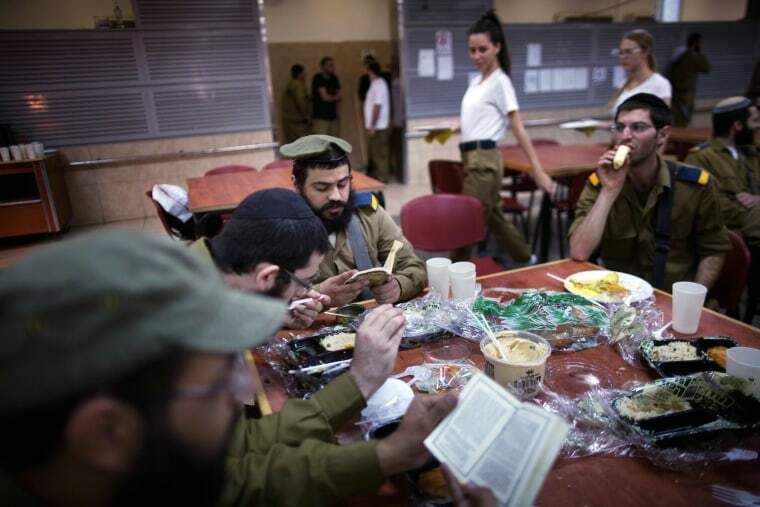 Israeli army's newly-enrolled soldiers of the Shachar Kachol ultra-Orthodox Jewish unit bless the food as they have lunch during a training session at the technical Air force base on Nov. 26, 2015 in Haifa. Special units like Shachar Kachol allow the ultra-Orthodox Jewish men to continue Torah study and limit interactions with women - a religious requirement. 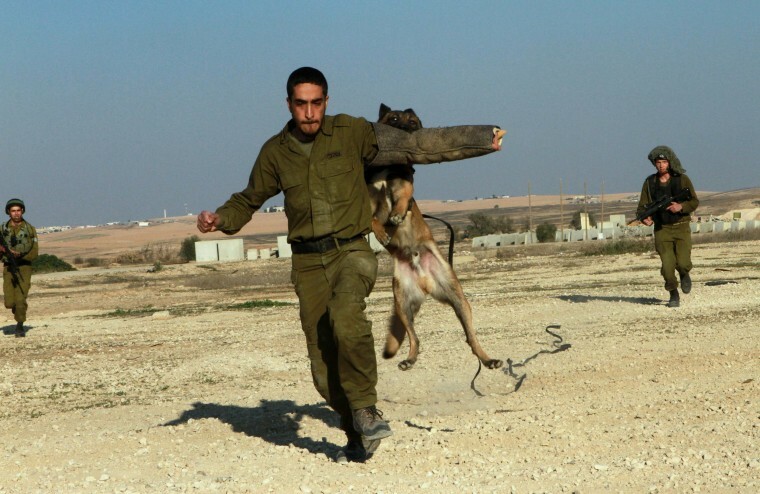 An Israeli soldier of the Shachar Kachol ultra-Orthodox Jewish unit take part in a training session on Dec. 21, 2015 at the Nevatim Air force base in the Negev desert, near Beersheva. 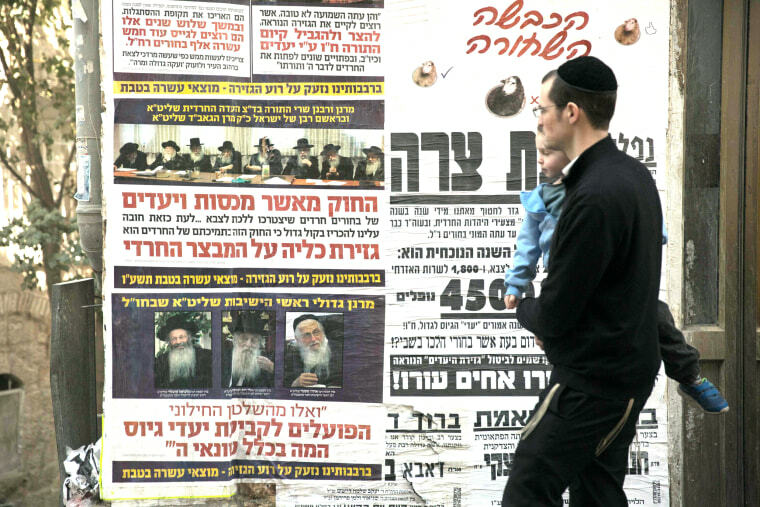 An ultra-Orthodox Jewish man walks past a "Pashkvil", a poster reading rabbis' statements against the military service on Dec. 11, 2015 in Jerusalem's Mea Shearim neighborhood. In November, lawmakers passed legislation extending the exemption from military draft for the religious population, reversing a law passed in 2014 that would have seen it expire. Ultra-Orthodox Jewish Yoeilish Krois, who is against the military service, lights candles during the Jewish holiday of Hanukkah with his children at home on Dec. 11, 2015. 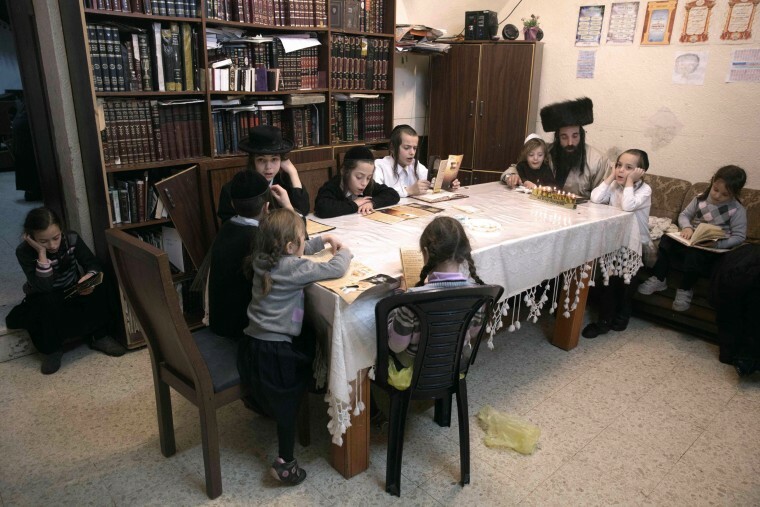 Ultra-Orthodox families often have large numbers of children. 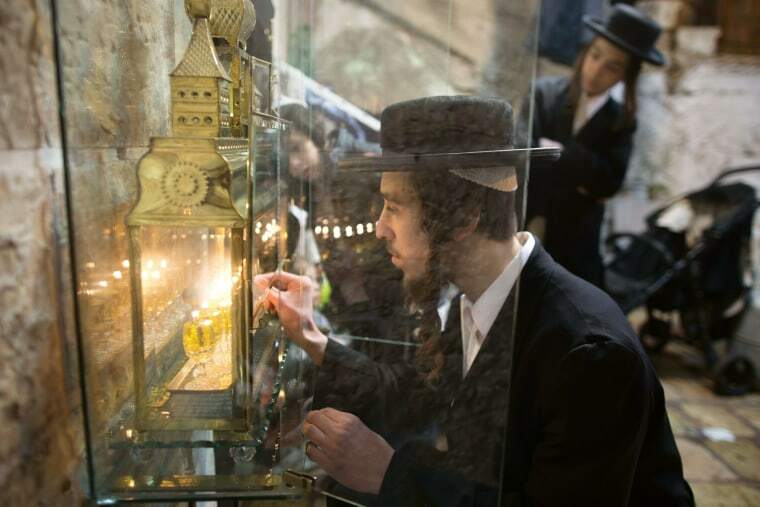 Ultra-Orthodox Jewish David Krois, who is against the military service, lights candles during the Jewish holiday of Hanukkah on Dec. 11, 2015 at home. Krois was arrested last year for attacking a rabbi who was dressing in military uniform. 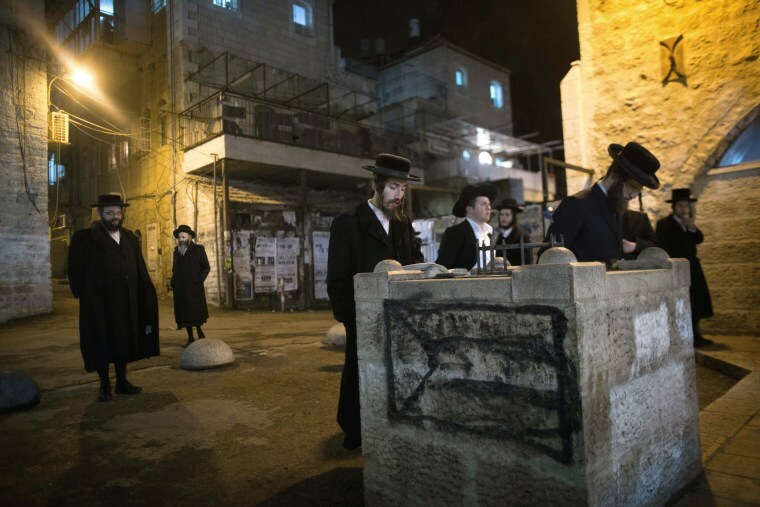 Ultra-Orthodox Jewish men pray to protest against the military service on Dec. 11, 2015 in Jerusalem's Mea Shearim neighborhood. 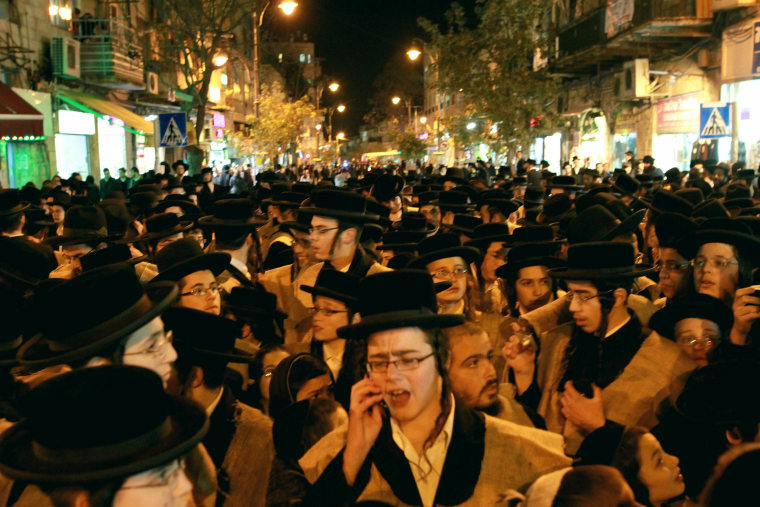 The ultra-Orthodox currently make up between seven and 10 percent of Israel's more than eight million population, but are among its fastest-growing communities, according to AFP. Ultra-Orthodox Jewish men gather and protest against any plans to end the military exemption on Dec. 22, 2015 in Jerusalem. The new law passed in November this year extends the exemption by six years, and then sets out a three-year period when the defense minister can decide how to move forward.